Directed by Mathieu Bitton, the clip presents footage of the rocker in the studio on his own and directing a string section on the song inspired by his own personal experience with the music icon. Kravitz went to straight to the hospital to be by his mother’s side upon landing in the city, and was at Rubin’s home when he received a call that she had passed when he ran into Cash and his wife June. "I was a bit fazed and out of it,” explains Kravitz, “and the two of them just came up to me and surrounded me and held me. The two of them. We weren't lifelong friends. I didn't know them that long. We were flatmates. But they decided at that moment (to) treat me like they would treat someone in their family. It was a beautiful moment of humanity and love." More than twenty years later, the memory of the scene returned to the singer while he was in the studio working on new music. "I heard the melody, I heard the music, but I did not understand why I was getting the words Johnny Cash," he says. "It obviously is something that impacted me and has been sitting within my spirit. They were beautiful, real people - and I guess that might have been the last time that I was consoled in that way." 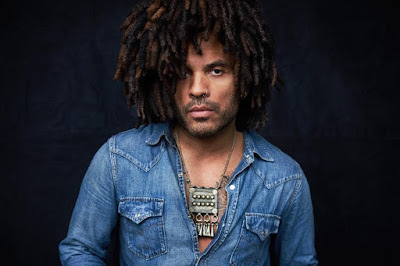 Produced and recorded by Kravitz at his Bahamas studio, “Raise Vibration” recently debuted at No. 43 on the US Billboard 200.